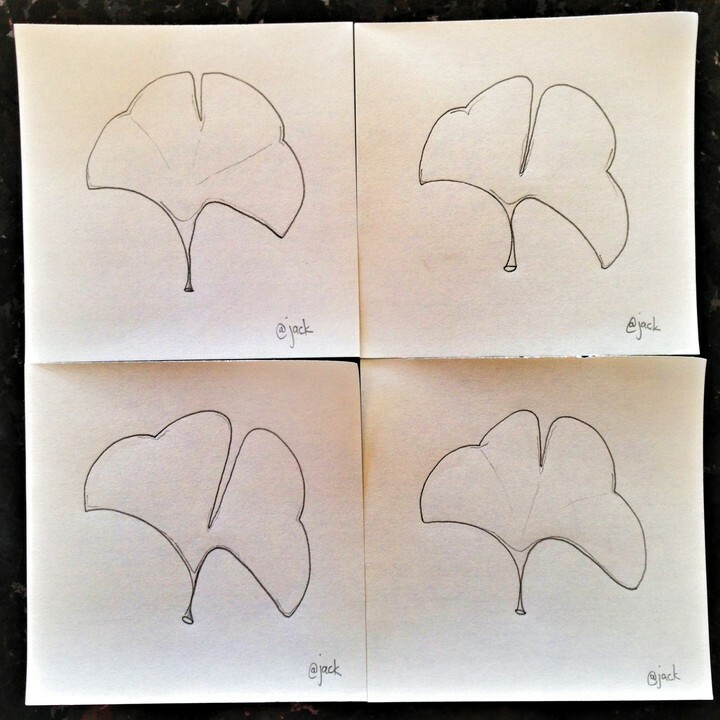 "HIS DIGITAL bona fides notwithstanding, he draws on paper every day, mapping out interfaces for work projects or, in more contemplative moments, sketching trees and ginkgo leaves." 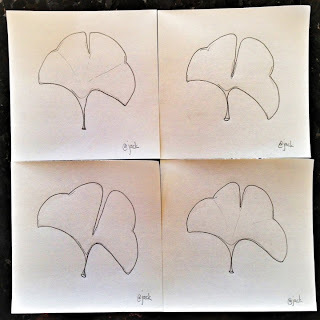 "When young, he studied botanical illustration under the tutelage of a master at the Missouri Botanical Garden, gazing for hours at the contours of ginkgo leaves. 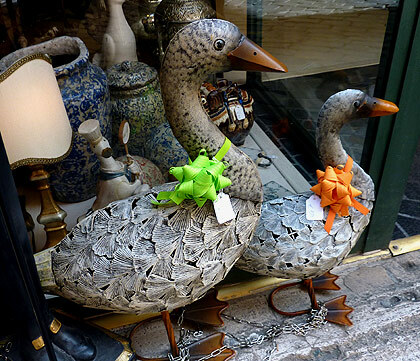 During a walk through Rome I discovered these geese with Ginkgo leaf feathers. Location: shop in a street near the Trevi Fountain. 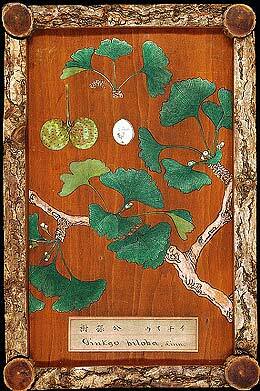 Ginkgo portrait painted onto a board made from ginkgo wood and framed with young ginkgo branches. Little more than a foot long and nine inches wide. Portrait made in 1878 by plant illustrator Chikusai Kato for Koishikawa Botanic Garden, now part of Tokyo University. Tea plantation and bamboo forest in central Taiwan. Ginkgo Forest and Oolong tea plantation. Dalunshan (Dalun mountain), Lugu Township, Nantou County, Taiwan. The area of Ginkgo trees reaches over 80 hectares. It has become the largest Ginkgo forest area in Southeast Asia. Read more on my blog here. Video by CC Lee on YouTube. Tsurugaoka Hachimangu, is the most important Shinto shrine in the city of Kamakura, Kanagawa Prefecture, Japan. 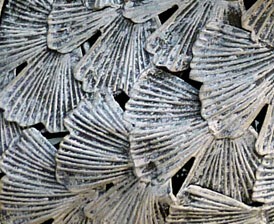 It now has a new amulet: Great-Ginkgo Votive Tablet. "The ema is designed in the motif of the Great Ginkgo, which unfortunately fell down because of the strong wind in 2010. 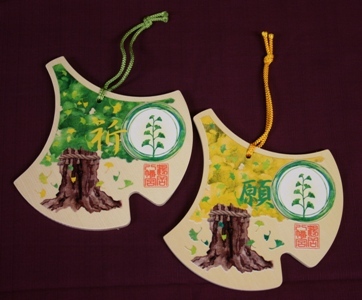 The amulet shows two different aspects of the Great Ginkgo; one is with fresh green leaves in the early summer, and the other is with yellow leaves in the autumn. This over-1000-year-old tree has been regarded as sacred and worshipped by many people. Now that sprouts are visible emerging from the stump, its regenerating process gives us hope and makes us feel its strong power more than ever. Just like our wish that the Great Ginkgo regenerates is coming true, this O-ichou ema would fulfill your wishes." Read more about this famous tree on my blog here.